A true collectible and one of the rarest books in the world. 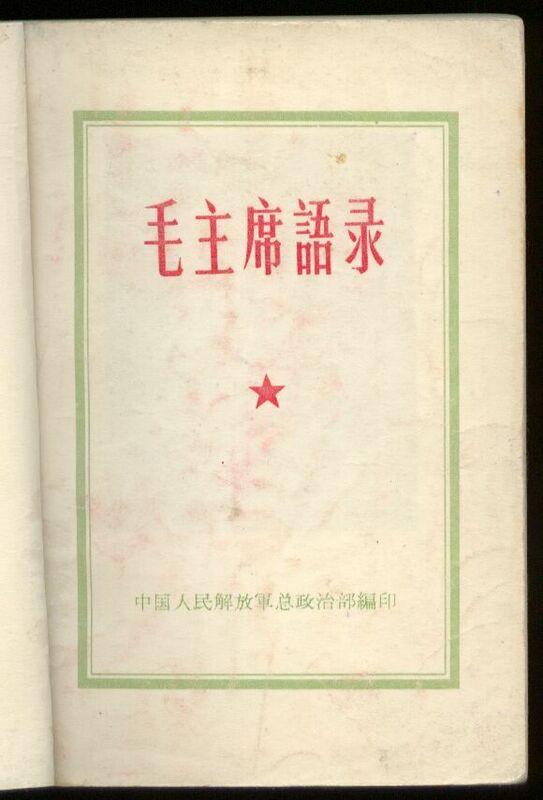 This first edition was published in May 1964 and has several distinguishing characteristics; 30 chapters; 250 pages; inscription by Comrade Lin Biao containing a brush stroke error; and no printing data at the back of the book. 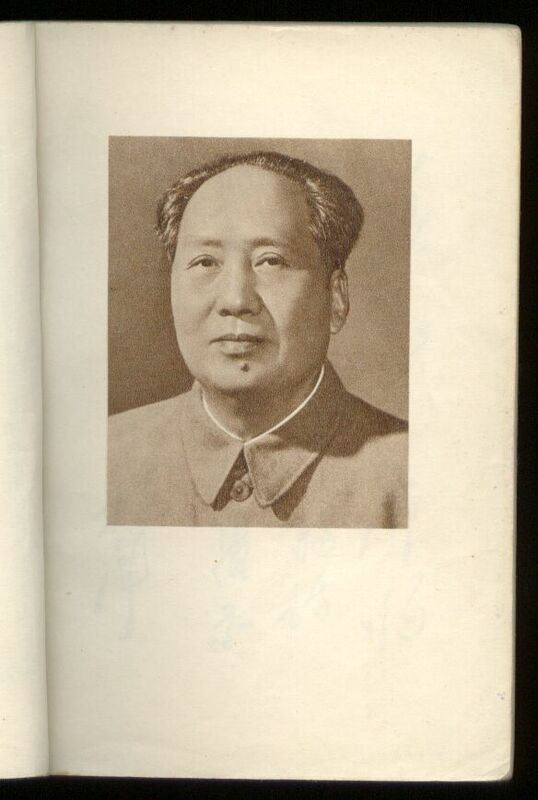 It has come to be know as The Little Red Book. 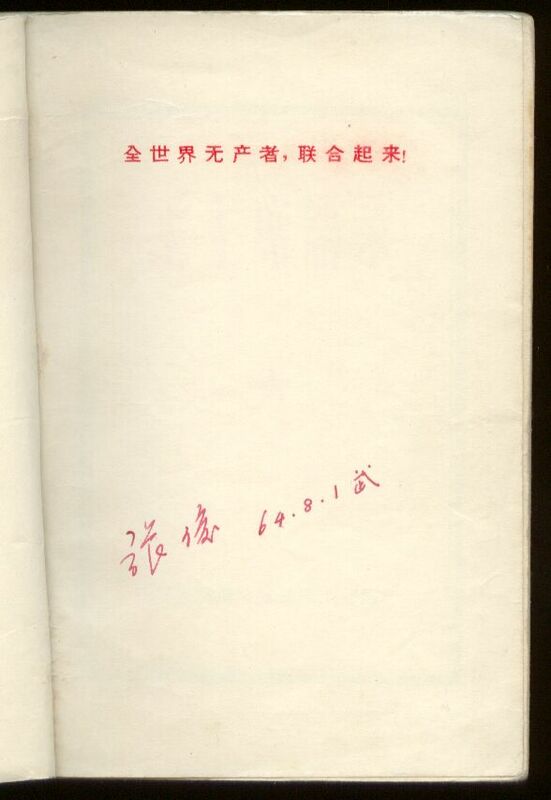 On the above scans it is possible to see the date of August 1, 1964 inscribed on the first page. 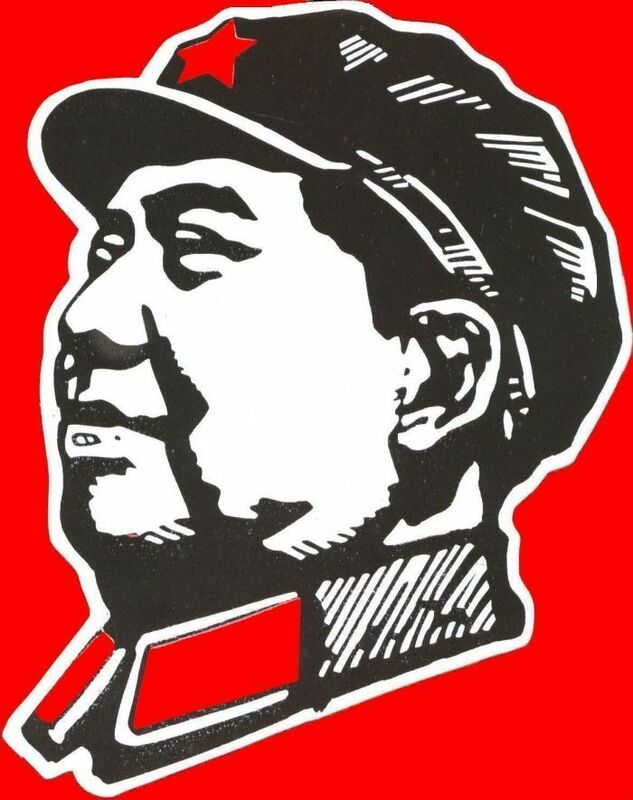 August 1 is an important date to the Communist Revolution in China as it is the date the People's Liberation Army (PLA) was founded in 1927. 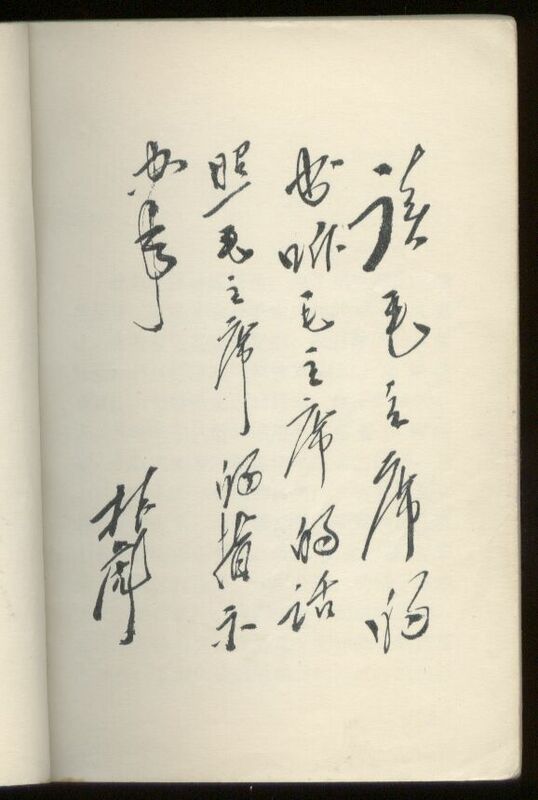 Also shown in the above scans are two pages carrying the number '2'. 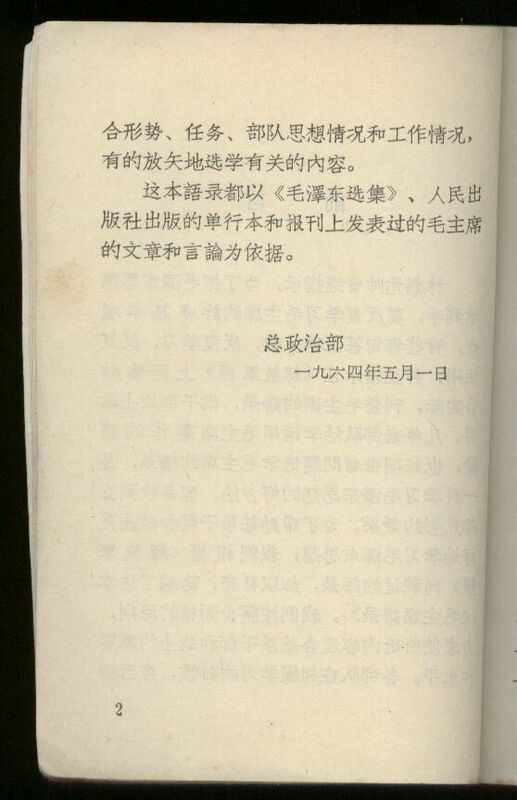 This is not a misprint, rather the first '2' represents the second page of the introduction, while the second '2' represents the second page on the Table of Contents following the introduction. 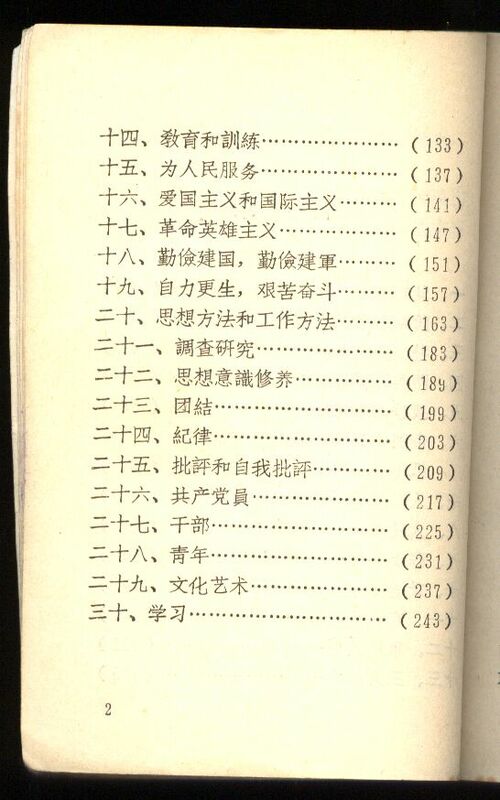 The last item on the Table of Contents are the Chinese characters for 30 (three horizontal lines together and a + sign), a clear indication that this is a First Edition book containing 30 chapters. 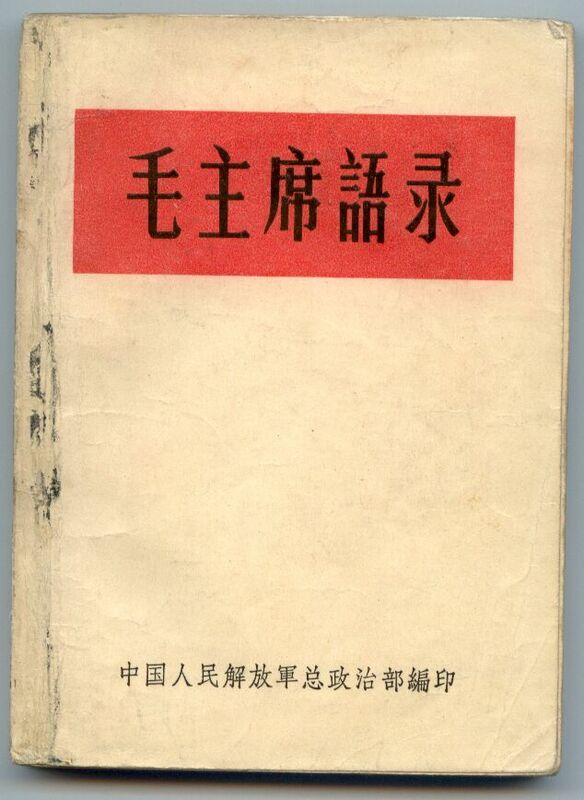 Only the 1964 Edition has 30 chapters.